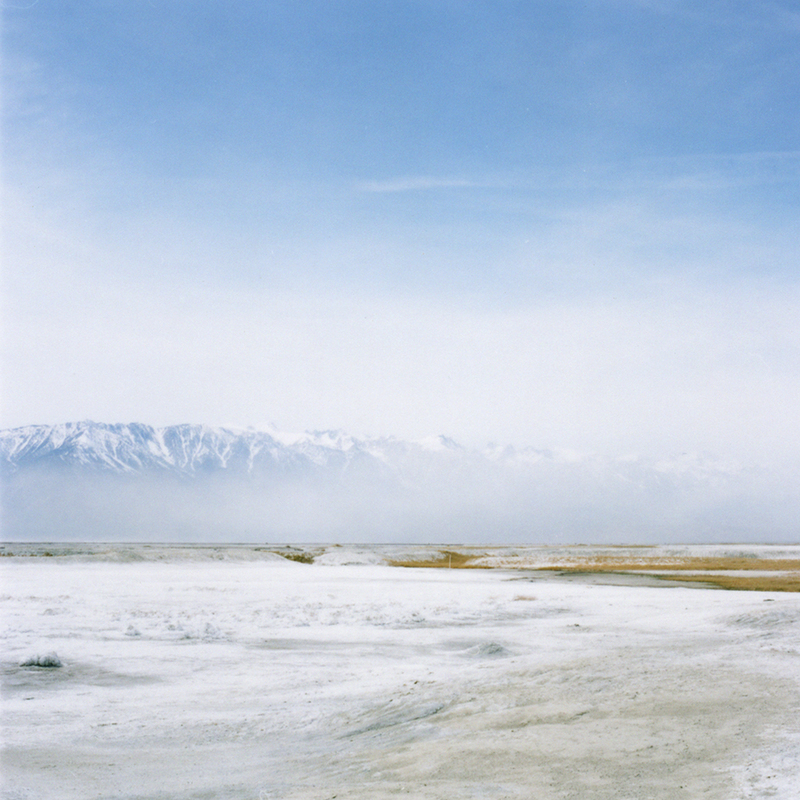 This is a photograph of a portion of Owens Lake, looking northwest, during a dust storm. In 1913, Los Angeles Department of Water and Power began the diversion of Owens’ arteries to feed its own aqueduct. Owens lowered for over ten years and held water until the mid 1920s, altering the face of farmland in the valley. The region is known for high winds, making the dry lake the largest single source of dust pollution in the United States. Such is cause for a prodigious number of cases in respiratory illness. Mount Whitney, the highest summit in the contiguous United States, is in frame, but disappeared by airborne dust. When first made, this and a number of other photographs were to serve as fodder for the construction of a lighthouse. It would overlook the lake’s ghost and make buoyant once again its lost vessels.